About the maximum speed of the vehicle. 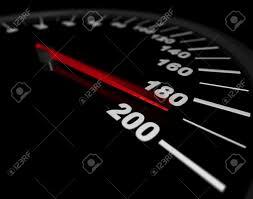 One of the characteristics of the car is the maximum speed. For the average driver it is not as significant as fuel consumption or car acceleration time to 100 km / h, but also an important indicator. Maximum speed can be called a measure of the perfection of the machine. In addition, the maximum speed is influenced by external effects, such as the weather (cold – tire roll less, hot – engine does not develop full power, drizzling rain will reduce the speed of 2-3 km / h, the wind subtract / add 5-7 km / h, low blood pressure – slightly increase the speed, etc.) or the quality of the road surface. In most cases, to increase the maximum speed, engine is boosted.